MASPETH, Queens (WABC) -- The proposed opening date for a Maspeth homeless shelter has been postponed. The shelter for families without children under age 18 was set to open on October 1st inside the Holiday Inn Express. 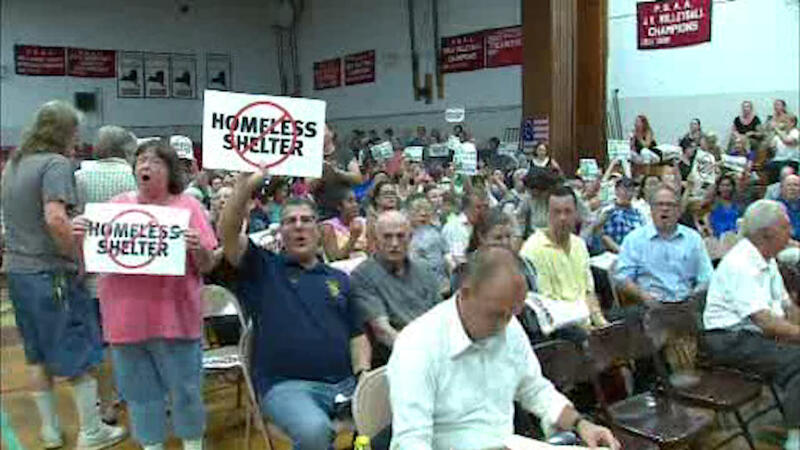 There were two community meetings that were protested by angry residents. A City Hall source tells Eyewitness News that another date for the opening is expected in the next few weeks. "This postponement gives us the opportunity to continue to bring pressure on the city to change its plan for Maspeth. With Community Board 5 review still underway, we still have not seen answers to our continuing concerns about the location of the facility, the track record of the proposed provider and details about the financial arrangement between the city, Acacia Network and the hotel owner," said Assemblywoman Margaret Markey in a statement. "As we announced at two community forums, we are continuing to review the proposal, and the start date will be determined as a result of the review," the Department of Homeless Services said on Wednesday night. Residents said they fear the shelter for 110 families will be a draw for crime and drugs, but the city says it promises around the clock security.